Looking for a fun experience while youre visiting Columbus? 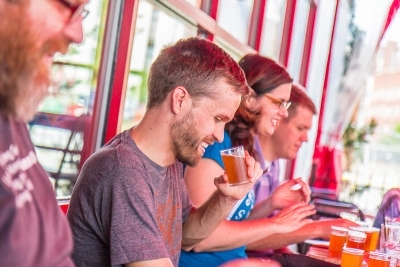 The Columbus Ale Trail launched on May 1, 2015, in conjunction with Columbus Craft Beer Week. The trail promotes the more than two dozen Central Ohio breweries to residents and visitors, who can pick up a copy of the Brew Book to earn rewards by visiting them. Take your team out for team building or go to unwind after a long day of meetings. The stops on the Ale Trail span throughout Columbus and many of them are located right downtown. The Columbus Ale Trail features breweries from Lancaster to Delaware, including a handy map featuring a centralized downtown Brewers Row, just a short walk from the Greater Columbus Convention Center. After acquiring stamps from visits to any four participating breweries, craft beer enthusiasts will be able to pick up a pint glass from an Experience Columbus Visitors Center, in the Arena District or at the Greater Columbus Convention Center, by the food court. The first 500 users to visit all twenty eligible breweries will be rewarded with a custom designed deck of playing cards, available at The Ohio Taproom, located at 1291 W. 3rd Ave. in Grandview. The Columbus Ale Trail and Brew Book were launched with support from Drink Up Columbus, Columbus Brew Adventures, The Ohio Taproom and Blue Label Digital Printing, with marketing and promotional assistance from Experience Columbus. Each of us is a passionate supporter of the rapidly growing craft beer community in Columbus, said Cheryl Harrison, editor of beer blog Drink Up Columbus. We wanted to launch a program to make it easy for locals and visitors alike to explore our area breweries. 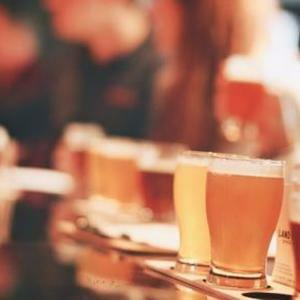 Stops on the Columbus Ale Trail include Barleys Brewing Company, Buckeye Lake Brewery, Elevator Brewing Company, Four String Brewing Company, Homestead Beer Company, Knotty Pine Brewing, Land-Grant Brewing Company, Lineage Brewing Company North High Brewing Company, Pigskin Brewing Company, Rockmill Brewery, Seventh Son Brewing Company, Sideswipe Brewing Company, Smokehouse Brewing Company, Staas Brewing Company, Temperance Row Brewing Company, Wolfs Ridge Brewing Company, Zaftig Brewing Company and Zauber Brewing Company. Other locally owned breweries featured in the book (which do not have taprooms to visit) include Columbus Brewing Company, Granville Brewing Company and Hoof Hearted Brewing. Gordon Biersch and Hofbrauhaus, both of which brew beer in Columbus but are not locally owned, are also included in the 2015 Brew Book. 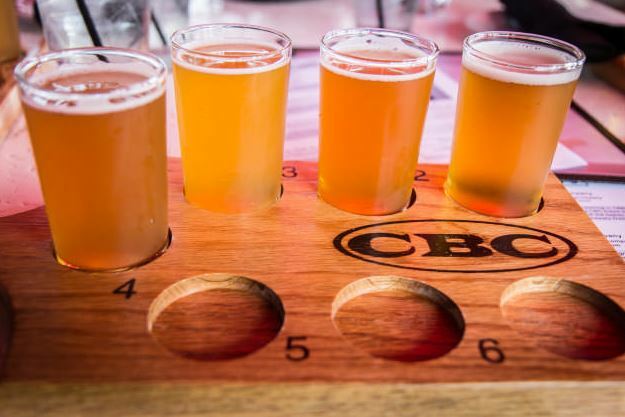 "With 25 local breweries, the Columbus region has emerged as one of the nations top destinations for craft beers, and now we have The Columbus Ale Trail to highlight the growing scene," said Brian Ross, Experience Columbus president and CEO. "We&apos;re excited to give visitors this new experience when they come to our city." A free copy of the 2015 Brew Book can be picked up at any of the participating breweries or sponsoring organizations after May 1, while supplies last. Columbus Ale Trail visitors are encouraged to share their experiences using the hashtag #CbusAleTrail, and can connect with the Columbus Ale Trail on Twitter and Instagram @CbusAleTrail, and at CbusAleTrail.com.